Partially transcribed from this Vimeo Video. As featured in RealtorMag. If you are hunkering down for the upcoming Facebook Newsfeed changes like it is the storm of our social media century, then you have undoubtedly heard some of the doom and gloom. But, I've got you covered. I have been analyzing the discussion of changes coming from a real estate business perspective and guess what I found? The very tips that I have been sharing as best practices, seem to be standing the test of time and these updates. Hooray! Facebook Ads have been the prince of Facebook marketing and now it is becoming king. We have seen Facebook move more and more to a "pay to play" strategy ever since its IPO but in 2018, ads may actually take first place. Translation = if you are paying a service to post article links for you that take people to a site outside of Facebook, you may likely find yourself throwing money at a broken process. One key is to run a lead generation ad (not simply a post-boost) that allows you to capture contact information without people going to external links, especially low-quality sites. If you are linking them to another high-quality page, video, note or group on Facebook, then those may be safe since it stays "in the family". If you feel these are too complicated for you, you can still give it away. I recommend hiring a savvy yet affordable virtual assistant (or, perhaps a family member, friend, or local college intern that is a social media maven). With virtual assistants that have made Facebook their forte, you can often spend as little as $10-20 per week but maintain a personal touch that does not feel automated or generic. Having a thriving social media presence without you lifting a finger is worth skipping a latte or two. Check out this past resource to help you identify if it is time to grow your sales squad. If you default to loading on Facebook your listing videos made from photo slideshows, then you may start to notice soon you are getting no traction. Interesting videos can "break the internet" but lackluster videos have still had their place to shine on Facebook. This seems to be on the chopping block. Truthfully, it seems even well-designed videos of home tours, how-tos, and the like will not rank high unless they are done live. What's so special about live? If you have ever watched a live video, no matter the topic, there is typically more authentic comments, shares, and likes. 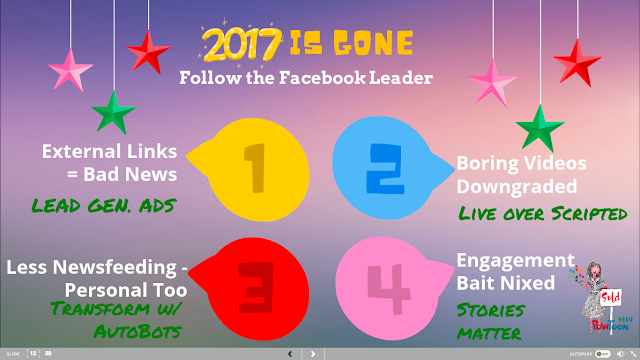 People may often seek out live video more (or, at least, readily watch it) even if it is just to not miss the "trainwreck". 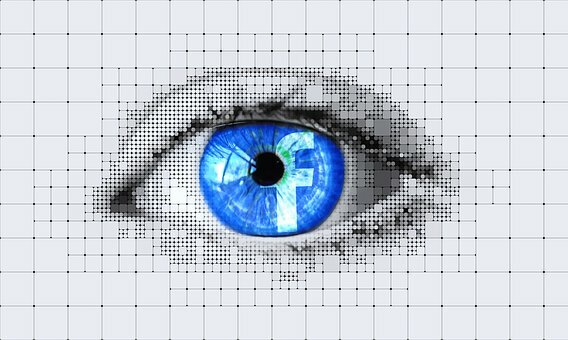 Facebook wants more of this connectivity and less of us just watching videos on Facebook without any interaction like an old-school TV set. In other words, Facebook wants to make sure we stay social on its site, go figure. If you are going to spend your resources (time, money, etc.) on video creation, opt to go live. I get it... you don't go live because you want to perfect and control what is online about you and your properties. You still can maintain quality by rehearsing and even doing a practice filming first, especially if you want to personally critique the video production. If you have ever seen SNL, then you know live video can still be very much rehearsed! With time and consistency, we all get better at doing videos on the "fake-fly" (since we will still do a little rehearsing first). Have you ever heard the saying, "broken crayons still color"? It is one of my favorite quotes in terms of social media and our real estate business because we don't have to wait for perfection to have progress. Yes, some of us and our prospective clients have a steady diet of Facebook. However, Facebook is determined to make these "feedings" less from Pages so people connect more with their sphere. There may also be less Facebook "juice" for groups and personal accounts with posts that don't garner meaningful engagement (e.g. comments and responses as opposed to simply likes). They are leaving no loopholes with this. Clickbait is defined as "something (such as a headline) designed to make readers want to click on a hyperlink especially when the link leads to content of dubious value or interest". If you have ever clicked on something that has led you to unreputable information and, worse yet, that infected your computer, you know well what this is. Engagement bait, similarly, wants likes, comments, and shares whether or not the topic at hand has any value or interest to the reader. I have been saying it in every class I teach but I will say it again, "Stories matter!" The more stories we can tell about how our clients are finding and selling fantastic real estate (with their permission), the more people engage organically. Stories grab engagement without using "salesy", bait tactics that Facebook is vowing to weaken. If you have not been in one of my sessions, here are some tips (not clickbait) I gave at Inman Connect on the Road about story-telling following the HUTT (humor, unique, thought-provoking, and tear-jerking) that are standing the test of time.